A lot is known about Alexander the Great. It is quite possible to trace the main episodes of his reign and the conquest of the East, beginning with the first victory on the Granik River and ending with his death in Babylon. But the reasons that prompted him to rush into such an unprecedented adventure, dreams and goals that moved him during this military, political and religious epic, remain largely a matter of conjecture. In addition, first-hand information does not exist on this account, and all awareness, as is known, relies mainly on Greek and Latin writings composed many centuries later. First of all – the historical and geographical works of Arriane, Plutarch, Curtius Rufus, Diodorus of Sicily, Pompey Trog, Strabo and some other authors. 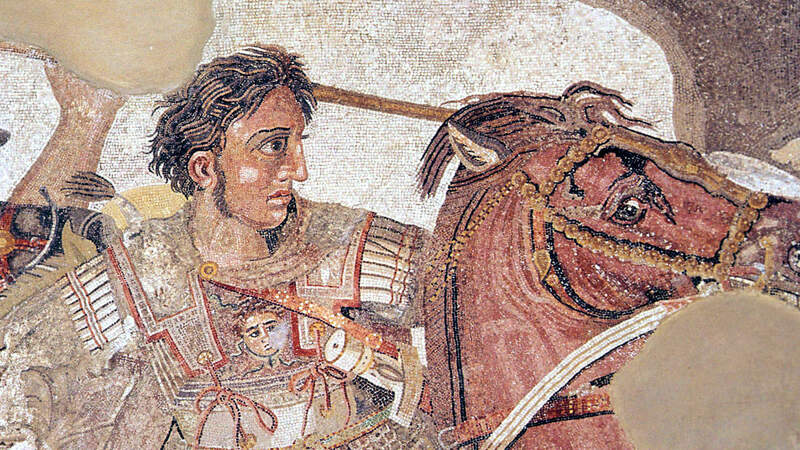 The history of Alexander the Great is being reconstructed by modern researchers through a complex path of historical criticism. Alexander the Great was born in July 356 BC. e. from the marriage of the Macedonian king Philip and the queen of the Olympics. In ancient Greece, all the noble, especially the royal, families claimed to be descended from the gods or heroes. Macedonian kings led their ancestry from Hercules – the son of the Greek god Zeus from the mortal woman Alcmene. On the maternal line Alexander of Macedon could be considered a direct descendant of Achilles, the hero of the legendary Trojan War, praised by Homer. In a more mundane formulation, the last thought could sound in the form of a question about who is the “real” father of Alexander: King Philip, or the deity hiding in the guise of a snake? Subsequently, Alexander of Macedon widely exploited this winning subject of his supernatural origin. Allegedly, escorting Alexander to the Persian campaign, the Olympics opened to his son the secret of his unusual birth. However, there are absolutely other evidence. If this legend has some basis, then, most likely, they refer to another period of the life of the Olympics. King Philip clearly considered Alexander his son. In this remarkable fact, one can guess not so much the connection between Macedonia and Greek culture, as … the desire for such a connection. The country of the Macedonian kings was a half-barbarous outskirts of the Greek world – a wild place, explained Demosthenes, where one cannot even buy a decent slave. The presence of freedom is the main thing that divided the Greeks and the barbarians. Aristotle and Athenian orator Isocrates authoritatively asserted that “the slave and the barbarian by their nature are identical concepts”, that the subjects of the Persian empire in contrast to the citizens of the Greek states “are low in soul and full of servile fear”. “Striving to humiliate themselves in any way, they worship the mortal man,” their king, which only the gods deserve. The ideal of freedom meant the type of social system desired by the Greeks – collectives of citizens who independently decide their own destiny. The Greek world was not one country and did not aspire to be it. It consisted of many or relatively independent, small or very small states that could unite in the face of a common enemy, for example the same Persians. The fact of such unification inevitably raised the question of who will be the main one. Athens, Thebes or Sparta agreed to act in the name of Greece, but not under someone else’s direction. The motive for exposing Persian despotism as the complete opposite of Greek freedom was not accidental. His political ideals, as well as the idea of the unity of Hellas in the face of the Persians, the Greeks carried out from the Greco-Persian wars of the first half of the fifth century BC. 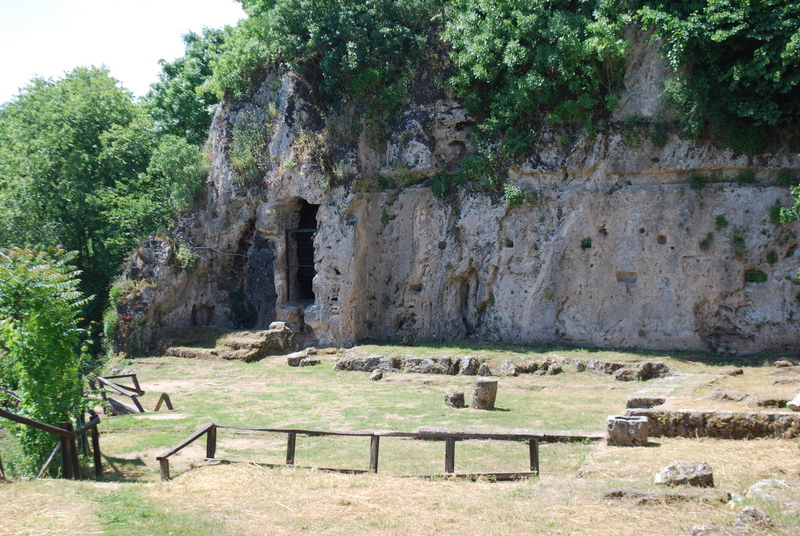 e. Disparate in political terms, unlike many others, the Greek tribes linked the memory of the common past. The central figure of the memory is the history of the coalition, Pan-Hellenic rallying against the enemy in the East. The very idea of a coalition of Europe against Asia is inspired, of course, by the Iliad. The story of the Trojan War was perceived by the Hellenes as a story, and not as a myth or artistic fiction. Based on this epic text, they appear to have sought to understand themselves as one people, a single whole. But, even more, their mentality and self-consciousness formed the dramatic and heroic pages of the history of the invasion of the Greek world of the Persian king Xerxes in 480 BC. E., almost a hundred and fifty years before Alexander the Great. From the patriotic belief in moral rightness and the exemplary social order of the Hellenes, in the end, there were hardly any justifiable considerations about the fragility of the Persian state and the ease of conquest of Persia. From the middle of IV century BC. e. The idea of an aggressive campaign to the East was developed by many Greek writers. The opportunity to take on someone else’s hands was combined with the duty of revenge against the historical enemy for the ashes of the burned cities and the desecrated shrines of Hellas. The war with the Persians seemed to them a way out of the endless wars of the Greeks themselves with the Greeks. “We will transfer the wealth of Asia to Europe, and the plagues of Hellas – to Asia,” Isocrates addressed the Macedonian king Philip, seeing in him the potential leader of Greece, capable of leading her to the East. But many other Greeks regarded the rapid growth of Macedonian influence as a threat to freedom. Demosthenes brought Philippe to Philip, who became the common denomination of exposing speeches. After the victory of the Macedonians over the allied forces of Greek cities led by Athens, won in 338 BC. e. at the time of the Chronicles, the congregation of Greeks in Corinth actually confirmed the political supremacy of Macedonia in Greece. Congress declared war on the Persians, calling the king Philip the leader of a military campaign in Asia. Almost all of Hellas, with the exception of Sparta, promised to follow him. The retaliation for the Persians was one of the goals of the future war, it’s quite official program. The Greeks were equally straightforward in their own expansionism. In addition to revenge for the defiled and faithful Greek shrines, the Greek war against the Persian kingdom was to be joined to the Greek world by the Asian shore of the Aegean Sea.